Take learning into your own hands. 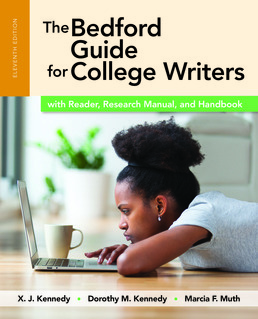 The Bedford Guide for College Writers gives you clear help with writing, plenty of examples, and effective opportunities to learn by doing. BOOK 1 A Writer’s Guide takes you through the most common writing assignments you will encounter in college and on the job. BOOK 2 A Writers’ Reader gives you model essays (20 selections on 5 themes) to enrich your own thinking and writing skills. BOOK 3 A Writer’s Research Manual highlights the essential steps for writing a research paper, including how to find, integrate, and document your sources. 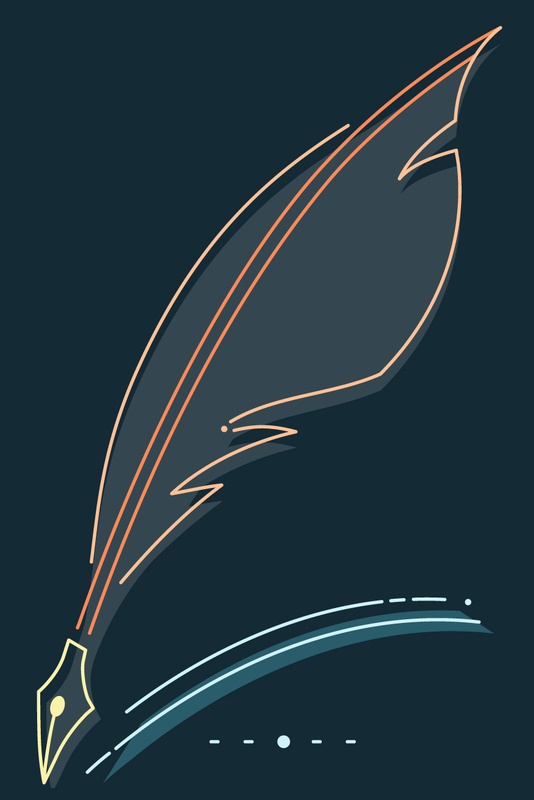 BOOK 4 A Writer’s Handbook answers your questions about grammar and style, with special attention given to the most troublesome editing problems. This book includes the essays and assignments you need in order to do your coursework. Student Essay: Robert G. Schreiner, What Is a Hunter? Libby Copeland, Is Facebook Making Us Sad? Ann Friedman, Can We Just, Like, Get Over the Way Women Talk? William Deresiewicz, What is College For? Who Is Responsible for the Source? Is the Source Scholarly or Popular? What Is the Source's Purpose and Bias? When Was the Source Produced or Published? X. J. Kennedy is an acclaimed poet, children’s author, college teacher, and textbook author. He has taught freshman composition at the University of Michigan; the University of North Carolina, Greensboro; and Tufts University. Since 1966, more than 2 million students have treasured his introductory literature texts and The Bedford Reader, coedited with Dorothy M. Kennedy and Jane E. Aaron, now in its ninth edition. Dorothy M. Kennedy is a writer and editor whose articles and reviews have ppeared in both professional and academic journals. She has taught composition at the University of Michigan and Ohio University and, with X. J. Kennedy, is the recipient of the NCTE Teacher's Choice Award for Knock at a Star: A Child's Introduction to Poetry. Marcia F. Muth teaches, writes, and edits. She has taught first-year writing at The Ohio State University and other introductory courses at St. Peter's College (Englewood Cliffs). Her many writing workshops have been sponsored by　Fordham University, the University of Colorado Colorado Springs, and currently　the School of Education and Human Development at the University of Colorado Denver. She is the author or coauthor of many composition textbooks and ancillaries, including The Bedford Guide for College Writers, The Concise Bedford Guide for Writers, Writing and Revising: A Portable Guide, Researching and Writing: A Portable Guide, and The St. Martin's Pocket Guide to Research and Documentation (all from Bedford/St. Martin's). Her projects as a writer and an editor have included Harold D. Lasswell: An Annotated Bibliography as well as many grant proposals, textbooks, ancillaries, reports, and other publications. She continues to learn how to write clearly and effectively from her students, editors, reviewers, and writing colleagues. Students learn best by doing. The Bedford Guide shows them how.